Isaiah 4:5 "Then the Lord will cover the whole city and its meeting places with a thick cloud each day and with a flaming fire each night. God’s own glory will be like a huge tent that covers everything." 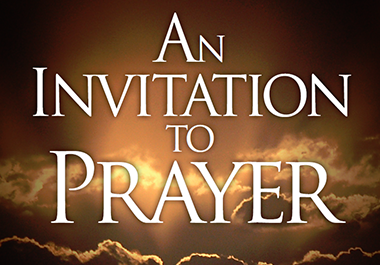 Lite the Fire Ministries has been helping facilitate non-stop prayer throughout Arizona and beyond since October 2005. It has been amazing to help facilitate so many expressions of non-stop prayer. One of those expressions is "The Torch". You can read more about how this initiative started on New Year's Eve 2007. However, the Lord has impressed on us to Relaunch the Torch, with fresh vision for the new season to Cover Arizona with the Glory of God through 24 hour worship and prayer. If you are in Arizona and want to host a 24 hour worship and prayer watch you can sign up below! The vision of The Torch is to unite God’s people by establishing non-stop prayer coverage in a region to see revival and transformation come. God is calling His people to intimacy and unity through the 24-7 Prayer Torch initiative! Come and catch the vision, be equipped and ignited to carry the Torch of 24-7 prayer. The original vision of Torch was to organize and equip 52 local prayer teams in Arizona, USA who would each cover one week of non-stop prayer in 2008. Similar to the passing of the baton in a relay race, the “prayer torch” is passed to a new prayer team each week. For each prayer team’s assigned week, they commit to cover all-day, all-night prayer from some pre-determined location. Our desire was to see non-stop prayer happen in churches, hospitals, universities, daycares, airports, businesses, police stations, fire stations, jails and that has happened. This is a sustainable model that has born great fruit in Arizona. For more information on connecting with the vision in Arizona or are interested in starting to mobilize non-stop prayer in your region please contact us we would love to help!